Maximize ad revenue by ensuring your ads.txt is always up-to-date. Ads.txt Manager is the world’s easiest way to manage, update, and maintain your ads.txt file. AdstxtManager.com is the world’s most popular ads.txt management tool – used by thousands of websites that reach more than 200 million visitors each month. Having an up-to-date Ads.txt file is essential for publishers looking to maximize their site’s ad revenue, however keeping it up-to-date often requires continuous manual updates and uploading of files. Ads.Txt Manager is a free tool that lets you easily manage your ads.txt files. Get started by importing your existing file or making a new one. 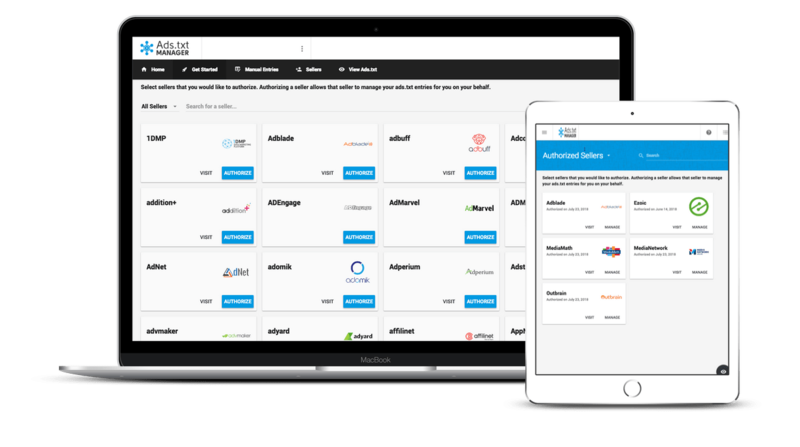 Easily authorize sellers and validate your ads.txt before publishing. Save time and ensure that Ads.txt implementation isn’t causing you to leave money on the table. Ads.txt manager is a way for you to manage your own Ads.txt entries or approve authorized sellers to modify their files on the your behalf to ensure that you always have the latest and most up to date ads.txt id files from your partners. Keep everything organized when managing your Ads.txt file. Keep IDs in order and matched to the correct partner automatically. Quickly reference partners and IDs. Protect against cluttered files with costly, unidentifiable junk in them. 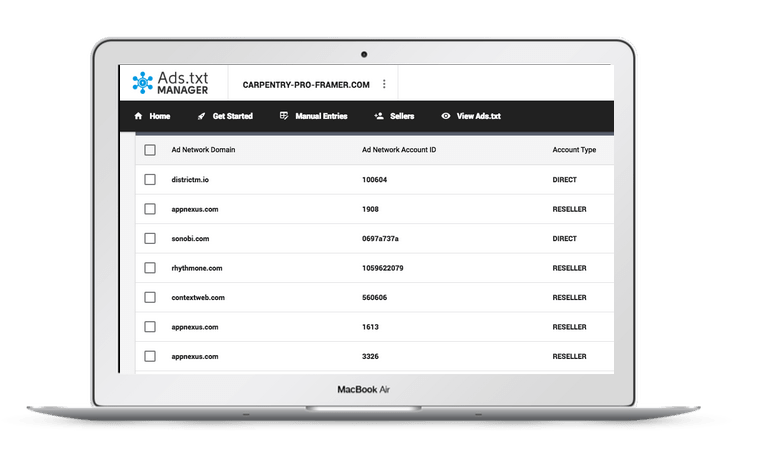 Ads.txt Manager provides a prebuilt way to organize files and authorize sellers so that you can always identify what files belong to each of your different ad partners. No more wading through line items to identify partner files. Ads.txt files can get out of hand quickly. Manually updating and managing every line item for every partner can be extremely difficult and lead to costly mistakes. Ads.Txt Manager simplifies this process dramatically. Manually updating your Ads.txt file can be cumbersome and potentially costly. Ads.txt Manager allows websites to organize multiple partners quickly without navigating through lines and lines of code to figure out what needs to be updated. An out of date Ads.txt file can mean lower publisher ad earnings. If a website is missing an authorized seller’s updated list of partners, they are missing out on potential revenue from those partners that the seller has added. AdsTxtManager.com was built by a Google Certified Publishing Partner and is used by their tens of thousands of websites around the globe. Ad partners are constantly adding new demand sources to their Ads.txt list of authorized sellers. If you aren’t actively updating your Ads.txt file to match all of the updates that your partners make, you could be missing out on ad earnings from those newly added partners. Upload your existing file or create a new one. Select authorized sellers and easily manage their list of IDs. Then, validate your file to ensure that everything is running smoothly on your website. Monitor your file and manage changes over time. Approve authorized sellers to make automated updates and ensure that your Ads.txt is always valid and up to date. 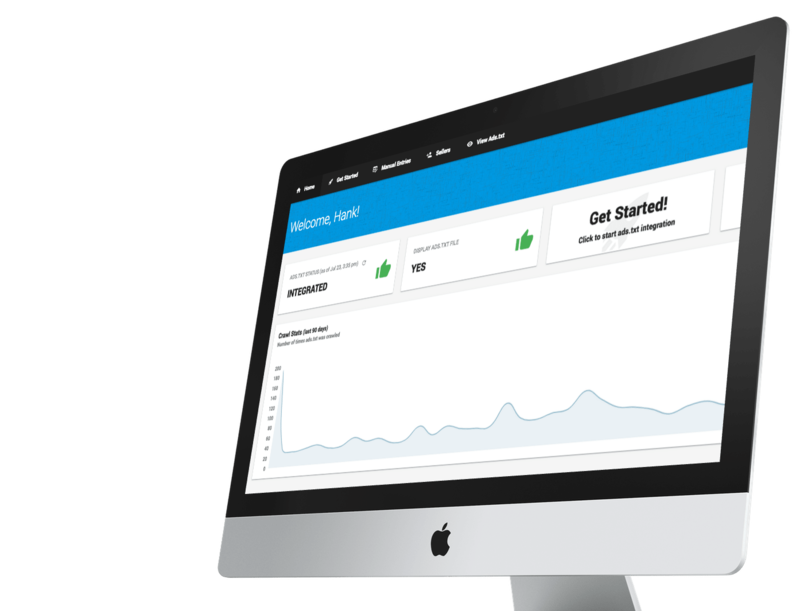 Avoid Revenue Loss & Better Manage Your Ads.txt file.